Nielsen's BDSradio powers the Billboard charts and monitors over 2000 radio stations in the US and Canada. It's the only programming and research tool that features airplay, side by side with sales and streaming data for your market. Get the Billboard Country Monitored and Indicator music charts here on the All About Country website each Wednesday. A music industry website containing in-depth charts and analysis based on the monitoring of 1,836 radio stations in the US and Canada, in 175 radio markets. Featuring realtime charts in 25 radio formats, based on radio airplay. In addition, its services have dozens of analytical tools. 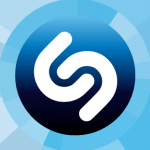 Shazam showing you the most Shazamed Country Songs! The leading website giving music fans the chance to let their opinions be heard regarding a variety of music styles. Your opinions are seen by radio programmers and record company decision-makers around the world, and you can have a real influence on the music played on radio (traditional, satellite, and Internet) and sold online and in stores. Your feedback helps determine artist's careers.